This is a free, printable business plan outlining the necessary services, organization and market strategies for feed and cattle suppliers, and those working in the livestock and animal care industry. [COMPANY NAME] is a sole proprietorship owned and operated by [NAME]. [NAME] has been owner and operator of the business since 1973. [COMPANY NAME] is a family business started by [NAME] grandfather in 1905. [NAME] is responsible for all operational and administrative aspects of the business. The business is operated out of [NAME] home. The Company has been in the bag business for over 60 years and in the charcoal business over 25 years and has a loyal customer base of business along with an honest and trustworthy reputation. [COMPANY NAME] provides bags for the agricultural and packaging industries. The Company only sells bags using U.S. paper, which makes a much higher quality bag than a bamboo paper bag. The Company's main vendor for bags is [COMPANY NAME] in [CITY] [STATE]. [COMPANY NAME] started selling Charcoal products over 25 years ago. 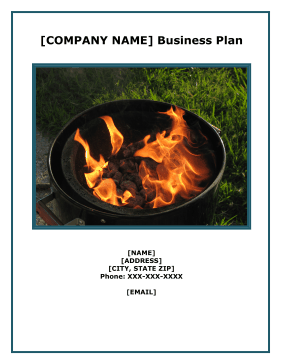 The Company has partnered with and sells charcoal products to [COMPANY NAME] located in [LOCATION] and their unique specialty wood Charcoal products. The focus of this business plan is to put forth objectives to work efficiently and effectively, expand internal operations giving the Company the opportunity to grow. [COMPANY NAME] is ready to elevate to the next step. The Company is seeking grant funding in the amount of $600,000. The grant funding will be used to launch the processing center, hire four employees, purchase necessary equipment and supplies, purchase inventory of bags, wood & charcoal, build a website and travel for marketing efforts. Also, once Grant Funding is received, the Company plans to pay down accounts payable. [COMPANY NAME] has the following objectives. 1. Obtain Grant Funding in the amount of $600,000 to expand the business. 2. Work more efficiently and effectively - We pride ourselves on the quality of our products and our business relationships. The company has been in business since 1905. 3. Hire four new employees to expand our wood and charcoal business. 4. Pay off our outstanding accounts payables. [COMPANY NAME] will distribute and support only the highest quality services and products. With this as our primary mission, we will work closely with our valued clients to establish solid business relationships with our vendors and customers. Today's market requires new approaches to marketing and client satisfaction. Today's client is seeking the most cost-effective alternatives while expecting the best possible products and services from its vendor base. [COMPANY NAME] mission will be to provide all of the above to the Feed and Charcoal Industry. 1. Seasoned management with over 37 years of business experience under current ownership in the distribution industry. 2. Focused and well defined long-range goals for longevity. Plan is developed to allow flexibility and growth. 3. Strong marketing goals with niche products and services, targeted services and products delivered with unique marketing approaches. 4. Strong vendor relationships developed over the last 37 years. 5. Guarantee our products are the highest grade of materials available. 6. Previous base of quality external support vendors available to build on, with over 37 years of industry contacts to work with, in both the purchasing of quality products, and also in the marketing of our own products.